Med Edward Snowden, Alan Rusbridger og John Crane. Programmet ledes av Christian Borch. Velkommen ved William Nygaard, leder Norsk PEN. Edward Snowden intervjues av Christian Borch på link fra Moskva. Artisten Pål Moddi Knutsen fremfører sanger fra sitt ferske album «Unsongs«. Norsk PENs Komité for Fengslede Forfattere ved Brit Bildøen og Johanne Fronth Nygren presenterer årets “fokusfanger”, dvs. de fengslede forfattere, journalister etc. som PEN-sentere over hele verden retter oppmerksomheten mot på denne dagen. Edward Snowdens kamp for å få en rettslig garanti for at han ikke blir utlevert til USA dersom han kommer til Norge for å motta Ossietzky-prisen, trekker i langdrag. 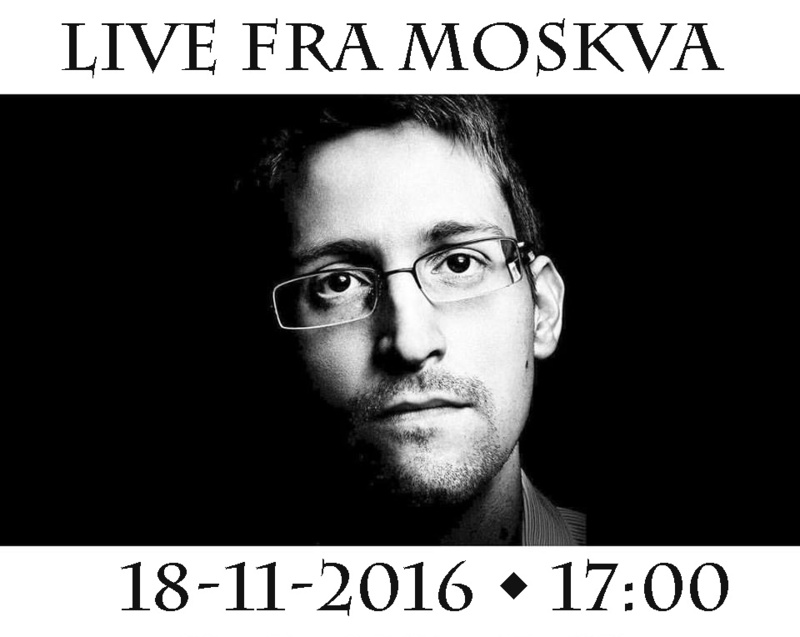 Da Norsk PEN 7. mars i år bekjentgjorde at Ossietzky-prisen for 2016 tildeles varsleren Edward Snowden, ble prisseremonien fastsatt til 18. november i Universitetets Aula. Saken er nå hos Høyesterett. Etter samråd med våre advokater i firmaet Schjødt, har Norsk PEN derfor besluttet å utsette tildelingen av prisen, som forhåpentlig kan skje ved Edward Snowdens personlige tilstedeværelse. Tildeling av Ossietzky-prisen 2016 til Edward Snowden vil derfor finne sted 7. juni 2017. Norsk PEN opprettholder imidlertid det årlige arrangementet 18. november for markering av den internasjonale Fengslede Forfatteres Dag. Edward Snowdens avsløringer og situasjon som varsler blir sentralt her. Snowden vil selv tale til forsamlingen via skype fra Moskva. Programmet vil foregår på engelsk. Billetter a kr 90, studenter og pensjonister kr 60,- kan kjøpes her. John Crane arbeidet ved Pentagon Inspector Generals kontor med ansvar for å sikre varslere mot overgrep. Crane avslørte lovbrudd mot varslere – spesielt at Thomas Drakes hemmelige vitneutsagn ble ulovlig brukt mot ham. Crane ble sagt opp med umiddelbar virkning i 2013. Alan Rusbridger var sjefredaktør i The Guardian fra 1995 til 2015. Under Rusbridgers redaktøransvar slapp The Guardian nyheten om overvåkningspraksis i USA og verden forøvrig ved å publisere NSA-dokumenter lekket av Edward Snowden. The recent revelations of U.S. wiretapping and spying – which extends to European Union offices in the United States – is disturbing. According to German daily Der Spiegel , EU agencies are referred to as «targets» of the U.S. security NSA. In other words, the surveillance also includes U.S. allies in the «war on terror» – to a degree that shocks the European leaders. Several of these measures were described as top secret by the U.S. monitoring bodies. 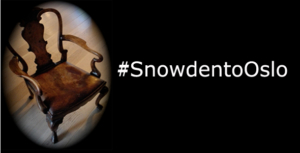 The threat of criminal prosecution against whistleblower Edward Snowden on the charge of espionage is an allegation against an individual who has used his right to free speech in order to uncover serious abuse, not worthy of a country that abides by the rule of law. By going out with this information, Edward Snowden has questioned the democratic openness of U.S. counter-terrorism strategy. The practice uncovered in the United States is in clear conflict with the principles of a democratic constitutional state. It also clearly differs from statements made by the Norwegian government after the 22 July terror, where the answer was «more democracy, more openness.» The United States has, after the 11 September 2001 attacks, accepted an expansion of its security policy that currently appears to be beyond control, as well as contrary to the values the country was originally founded on. New and advanced technology may, in allience with the major web giants Google, Amazon, Apple etc. and in accordance with the Patriot Act, obtain monitoring data to an almost unlimited extent. The fear of surveillance has already led to significant restrictions on freedom of expression and self-censorship, both in the United States and numerous other countries. Only a new and more open investigation can prevent this process from accelerating. 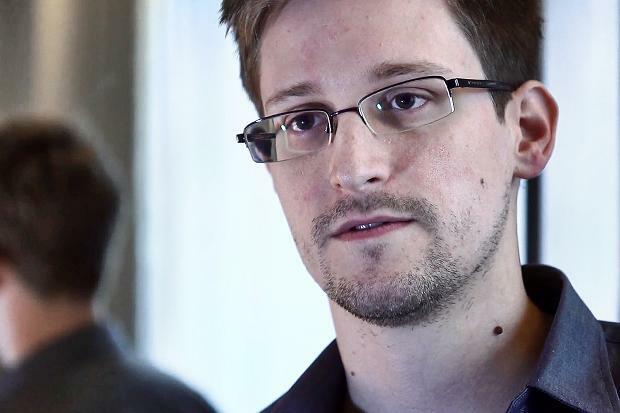 Edward Snowden has reason to fear the treatment the U.S. will provide him with, should he be extradited. Norwegian PEN therefore support his asylum application to Norway, based on the facts, as these are currently known to the Norwegian public. Norwegian PEN is one of the few organizations that has the right to propose an entry / asylum for an individual to the Norwegian immigration authorities. However, this right applies only to writers (writers, translators, journalists, etc.) who wish to stay in a Norwegian City of Asylum for persecuted writers. Edward Snowden does unfortunately not fall into that category. He is a whistleblower. Norwegian PEN generally objects to the persecution of whistleblowers. An important part of free speech is precisely the freedom to speak out about abuse, particularly when performed by authority officials or institutions. With reference to Article 14 of the UN Declaration of Human Rights which Norway has acceded, the first paragraph stating that «everyone has the right to seek and enjoy asylum from persecution in other countries,» we ask Minister of Justice Grete Faremo to instruct the immigration authorities to reconsider Edward Snow´s asylum application, in line with the treatment they previously granted the Afghan interpreters who had worked for the Norwegian forces in Afghanistan.